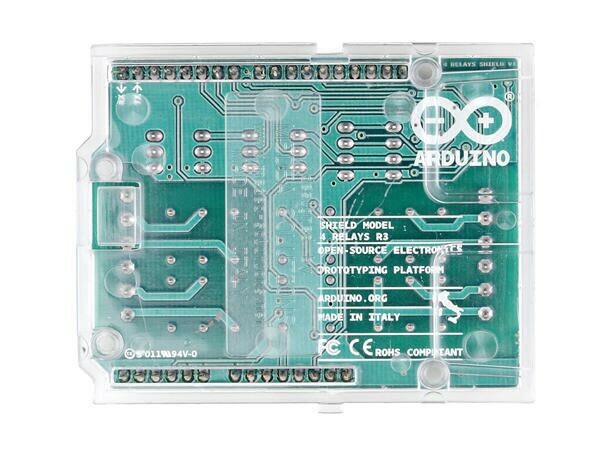 Produktinformationen "Arduino® 4 Relays Shield"
The Arduino 4 Relays Shield is a solution for driving high power loads that cannot be controlled by Arduino's digital IOs, due to the current and voltage limits of the controller. The Shield features four relays, each relay provides 2 pole changeover contacts (NO and NC); in order to increase the current limit of each output the 2 changeover contacts have been put in parallel. Four LEDs indicate the on/off state of each relay. Weiterführende Links zu "Arduino® 4 Relays Shield"
Kundenbewertungen für "Arduino® 4 Relays Shield"